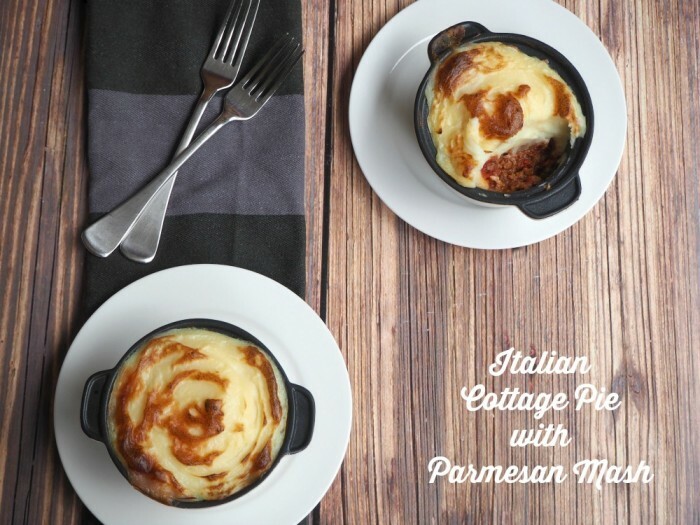 This recipe should come as no suprise as I’m a huge fan of pies and I’m always looking for new ways with bolognese. If you’re looking for some non-spaghetti bolognese inspiration, you’ve come to the right place. You might also want to check out the Bolognese Stuffed Capsicums, Pancakes Bolognese or the Speedy Beef Tacos. Just sayin’! 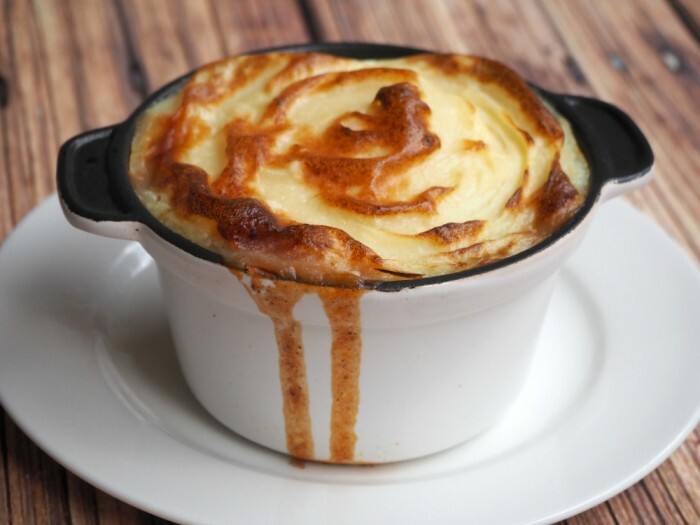 Anyway, back to these pies, they’re a tasty Italian twist on an old classic and they’re the ultimate winter warmer. Who doesn’t love a good bolognese sauce? And that creamy parmesan mash? It’s the tops! 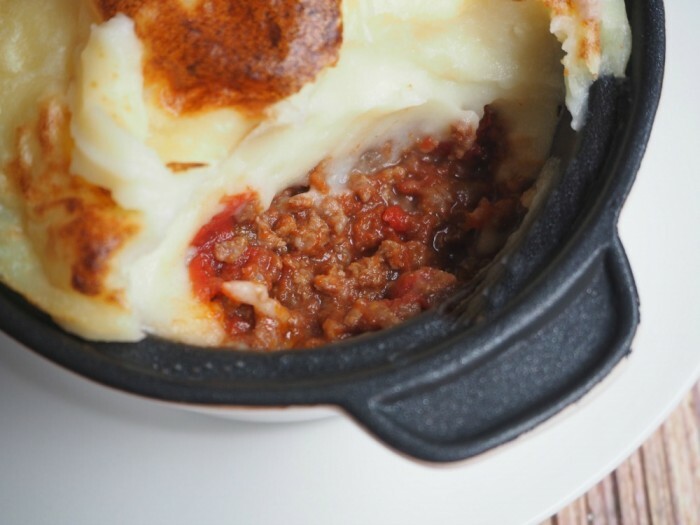 I’ve included my favourite bolognese recipe too, but if you have your own, just top it with the mash, bake it in the oven and you’re good to go! Boil, steam or microwave potatoes until tender, drain. Combine potatoes with milk and butter, mash until smooth, stir in the parmesan and season to taste. Heat the oil in a large saucepan and cook the onion and garlic, stirring, until it starts to soften. Add mince; cook, stirring, until browned..
Add undrained tomatoes, paste, vinegar and stock cubes, and bring to the boil. Turn the heat down and simmer, covered, stirring occasionally, for about 20 minutes. Then remove the lid and simmer uncovered, for a further 10 minutes or until most of the liquid has evaporated. Spoon the mixture into a 2.5 litre oven dish or 6 small ovenproof pie dishes and top with the mash. Bake, uncovered in oven for about 30 minutes or until brown and heated through. TIP! This recipe is suitable to freeze. Thaw overnight in the fridge before reheating.